Buy The Jade Plant Project a Coffee. ko-fi.com/thejadeplantproject - Ko-fi ❤️ Where creators get paid by fans, with a 'Buy Me a Coffee' button. 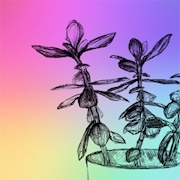 The mission of the The Jade Plant Project is to create a space where survivors and victims of sexual trauma, regardless of artistic skill or identity, can submit something they’ve created, seen, or appreciate as an act of solidarity with the community. As a free, quarterly-publication, we hope to bring solidarity to survivors of sexual trauma and educate those who haven't been effected. Secured Payments. Support goes to The Jade Plant Project's account. Upgrade The Jade Plant Project to a yearly Gold Membership with a one-time payment.